After Breaking Bad finished, we're on the scout for a new series to start watching. We have a pile of DVD's of The Wire (first three seasons) and the Box Set of West Wing but never got round to watching them. What series are you currently recommending to people on DVD? I recommend Arrested Development, Breaking Bad, Bored to Death and Parks & Recreation. Also fond of Curb Your Enthusiasm, but we really need some suggestions for new shows for us! The Newsroom - intelligent, brilliant writing and beautifully cast. Scandal - drama, romance, action and of course - scandal! Revenge, Breaking Bad, Big Bang theory, Greys Anatomy and Mad Men. Sons of Anarchy, Chase and The Walking Dead. Yes I like action series to take away the stress of the day. It always depends on the friend, but some staples would be the Walking Dead, Alphas, The Almighty Johnsons and I've recently gotten into Community which I would also recommend. The West Wing is one of my favourite series and is a must see. However, make sure you watch it before you watch the brilliant House of Cards or it might seem a let-down. The Sopranos is also excellent television. I would now recommend Veep....it's very funny. Prison Break. Always Prison Break, or Friends, The Nanny, Fresh Prince of Bel Air. I suppose it depends on what you're in the mood for. as with the Wire - we watched it about 5 or more years ago, so could be dated I guess, but the most intelligent, confronting series, and the stories we much more than just about baltimore drug scene - subtitles absolutely necessary tho. The actor who played the character Stringer Bell went on to do the Luther series, but it didn't match up to him in the Wire. 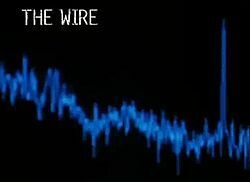 Watched the Wire many years ago - brilliant, but definitely need subtitles. I'm a watcher of as much oz. series as possible. Janet King, The Code, Rake (failed in america, why am i surprised?) The Slap. These were all brilliant oz. series, as good as most from o/s, but to me, we are so americanised that we ignore our own. None on DVD. I do watch ABC series on iview though. Whatever their showing. Janet king, The Walking Dead, The UK, House of Cards, Rake, Coroner, New Blood, Luther, Scott & Bailey, Indian Summers, etc. I don't bother white U.S. shows, but i love the Oz & UK series. 1 of my sisters was a big fan of West Wing, I didn't ever watch it. I don't worry about DVD/s.